You might say real estate is in Alex's blood, because she is Nancy Johnson’s daughter. Born in Dallas, Alex Simpson Marler attended public and private schools in the city before she left to study at the University of Arkansas (UA). Determined to jumpstart her career in real estate, Alex graduated from UA in just three years with a BS in Marketing Management and a minor in Finance in Real Estate. After graduation, she returned to Dallas and was welcomed into the family business by her mother. 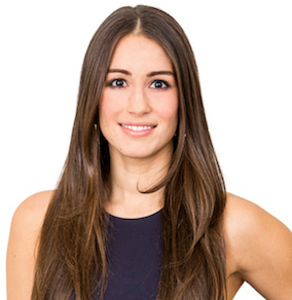 Eager to apply her real estate knowledge in the community where she grew up, Alex reconnected with a vast network of people. Due to her relentless work ethic, she soon began listing, staging, leasing, and selling homes. Inspired by her mother to give back to her community, Alex also began volunteering. Alex spends time volunteering. She coaches youth sports at St. Thomas Aquinas Catholic Church and is an active member of Paws in the City. Recreation for Alex and her newlywed husband Klinton include working out, jogging around White Rock Lake or playing at a dog park with their 2 cocker spaniels, one appropriately named Dallas. Alex’s commitment to her clients, her drive to succeed, and her extensive knowledge have helped lift the Nancy Johnson Real Estate Group to the upper echelon of real estate groups in the area.